Loved the colour and design. Only fault is that the on/off switch broke off within the first week. The end piece would'nt clip on properly and it does'nt protect the screen as much as I expected so we had to buy something else. The ring on the back is extremely useful for someone like me who drops their phone all the time. I love the colour and the rose gold detail is very stylish. However, it didn't last more than a week before little bits started chipping off the edges leaving me with a rather shabby looking phone case that wasn't very protective - certainly not worth its price! I would not buy this one again. I was really happy with my purchase the first few days. Service from this site has been great - quick and friendly, and the case looks high quality - really stylish and sturdy. However, after a few days, it just seemed to crack and disintegrate a bit at the joins (where the shiny and matte bits meet on the sides). It hasn't exactly fallen apart, it is still good for purpose. It sounds like your case may be faulty as the power button definitely should not break within a week under normal usage. Please contact our customer services department and they may be able to help you with this issue. The phone cover was delivered promptly and looked as per the description and pictures on the website. I really love the colour and it does look very stylish. 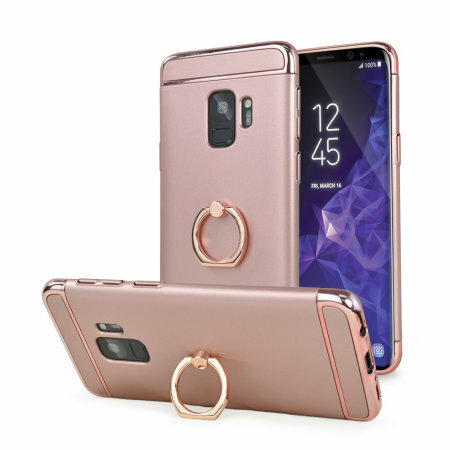 The ring attached to the back is sturdy and is useful both for security (not dropping) when holding and to use as a hands free stand when watching downloaded movies. However, after only 3 days of using, the button that covers the on/off switch broke off making it now incredibly difficult to switch my phone on and off. Overall a great cover but i will now have to find an alternative one as i can no longer use my on/off switch without difficulty.